A Digital Influence Index report from 2012 revealed that 89% of customers searched online ahead of making a purchasing decision (Digital Influence Index 2012). Fast-forward 5 years and you can expect that percentage to be even higher. How does your website stack up in the beauty stakes? Often your website is the first impression your potential customers get of your company and its products and services. How a site looks is a primary driver of those first impressions. No-one who surfs the web would find this surprising but maybe some would be stunned to learn how quickly site visitors decide whether they like a site or not. In fact, it takes just a split-second to form an opinion about your website and not much longer to click the back button. • 75% of users admit that they judge a business based on their website design (Stanford Web Credibility Research). • A 2103 Harvard University study revealed that business sites that are perceived as looking good are also perceived as usable and trustworthy. So with all this in mind here’s a list of site elements that are important to get right when you are creating a new website or renovating an existing one. Elements of Attractive Web Design. Images and Graphics – Regardless of your business or industry choose images and graphics that showcase your company appropriately. Be mindful of community/social considerations at all times to avoid offending any individual or group. Top-quality images are available from online services such as shutterstock.com. If your business is personal or hyper-local then contracting a photographer for bespoke imagery could be a good option. Simplicity – Remove as much complexity as you can from your design. Keeping things simple by excluding unnecessary components that confuse or distract will give you the best chance of moving your visitors towards your goal. Usability – Whatever you do make sure you don’t make it hard for site visitors to find their way around your website. Give careful consideration to your navigation and be brutal in deciding to remove links that either confuse or distract from your goals. Less is more in most cases and make sure you know what you want your visitors to do and then make it as easy as possible for them to do it. Colours – Most businesses have a logo or branding which consists of at least one colour. This colour should feature on your site but refrain from overdoing it if impacts the look and feel of your site. Just because your logo is pink doesn’t mean your homepage background needs to be pink as well. Your site’s colours should convey your personality or brand so be aware of what mood you want to convey. Also be aware that some colours have emotional links that you may want to avoid. Fonts – As with colours, a company’s text style or font should also reflect branding used elsewhere such as print advertising or premises signage. However the most important factor is readability online. Some fonts that are ornate of based on handwriting don’t present well on a web page and should be avoided. 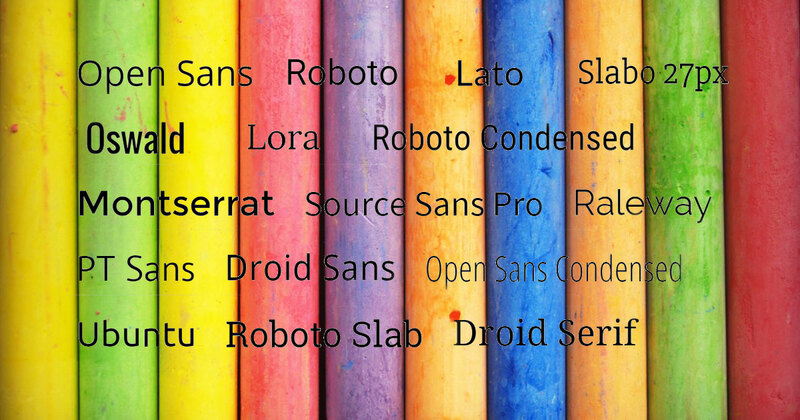 Google fonts have become popular and are available for use by most modern professional WordPress themes. Consistency – For sites that have multiple pages make sure you maintain design styling across all pages. The use of elements including heading and paragraph style, navigation, images, fonts, colours and call-to-action buttons should be consistent site-wide. Getting all this right on your own website can be a challenge when running your business takes up all your time. Fixing things doesn’t need to take too long when you know what to do and how to achieve it. When we launch into one of our Homepage Reno’s the work is generally complete inside two working days based on the current content on a site. We fix up all issues and produce a modern professional-looking website ready to entice site visitors to spend more time on a page and get them to ‘Buy Now’ or ‘Contact Us’ actions. Learn more about our Homepage Reno product – we’d love to help you modernise your business website.